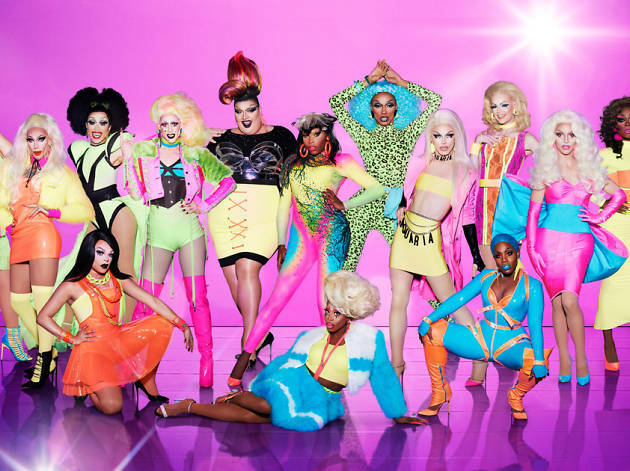 This may feel all too familiar, considering the fact that I was writing about where to watch RuPaul's Drag Race All Stars 3 just two months ago, but we're back, back, back again to help you find your dream viewing for RuPaul's Drag Race season 10. Despite All Stars 3 failing to consistently gag us, season ten promises to be legendary—just look at the five NYC drag queens on the board. The season premiere goes down on Thursday, March 22 at 8pm. Each episode this season will run for 90 minutes, and will be followed by a 30-minute episode of the show’s behind-the-scenes spinoff, Untucked. 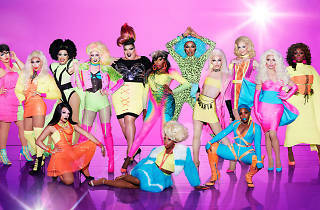 Here are a few great places to catch Aquaria, Miz Cracker, Dusty Ray Bottoms, Yuhua Hamasaki, Monet X Change (and all of the other contestants) onscreen. MCs Ruby Fox and Justin Angel invite you to join their wild crew of club kids and drag divas for the best Drag Race screening in town. After the lip-syncs on TV, get down to sickening performances IRL, along with dope music from DJ Soda Pop. And, needless to say, you better get in line early. This one may be worth the price. NYC drag icon Marti Gould Cummings hosts half of the cast of the new season—including all five NYC girls—for performances, a live screening and an after party. The Standard East Village's always-packed screening party is always stacked as well, with top-dollar alumni showing up to kiki with supreme diva Rify Royalty. This week, she's joined by Lucy Balls, Bootsie LeFaris and two-season queen Eureka O'Hara for the premiere, followed by performances at 10:30pm. Join Sassy Frass and Misty Meener for this excellent screening and performance party, with new guests every week. To sweeten the deal, you can enjoy free popcorn and shot contests with your Drag Race. Drag Race Screening Party Syndicated, Brooklyn; 8pm; freeThe delightfully droll Avant Garbage and Bella Noche take over this dope movie theater for a live bar screening, followed by performances and karaoke. Of course, these are just a few special viewings. Be sure to check our All Stars 3 guide for even more regular Drag Race parties in every borough.